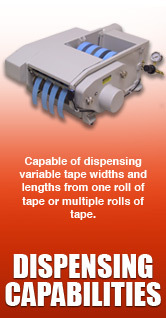 Automatic Air-Operated Tape Dispensers by Air Fixtures, Inc.
Air Operated Tape Dispensers by Air Fixtures, Inc.
Air Fixtures, Inc. has been dispensing solutions to customers around the world since 1952. 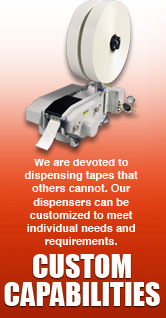 We are devoted to solving your dispensing problems, making your production process more efficient and cost effective. 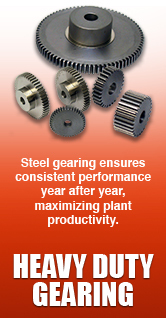 Air Fixtures' innovative product line is compatible to a variety of needs and applications (i.e. pressure sensitive tapes, carton sealing tapes, multiple rolls, variable lengths, automatic photoelectric sensors, consistent dispensing in hazardous working conditions, etc). 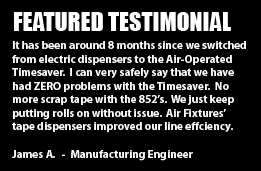 Backed by over 50 years of reliable product performance, and countless satisfied customers, Air Fixtures dispensers are truly "BUILT TO LAST"! 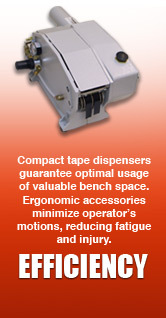 Dispensing nearly any type of tape made in the world, Air Fixtures, Inc. has the dispensing solution your company needs, while still providing you with the RELIABILITY and CONSISTENCY your company deserves!